German Kinetics SilverFlame Broadheads normally come in 3packs (identical weight). Further on, we also offer Tuning Kits. 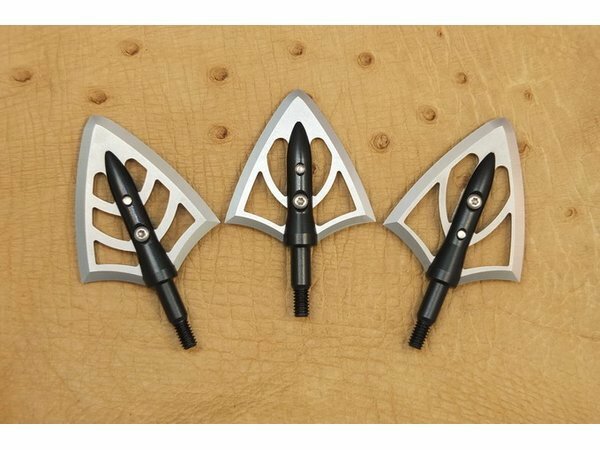 With the help of the Tuning Kit the bowhunter is able to determine, which broadhead works best with his particular hunting equipment. That prevents the case; the customer buys a dozen broadheads that do not match to the dynamic spine of his arrows. Tuning Kit 1 contains 100gr., 125gr. and 150gr. One broadhead each. Tuning Kit 2 contains 150gr., 180gr. and 210gr. One broadhead each. Tuning Kit 3 contains 125XLgr., 150XLgr. and 180XLgr. One broadhead each.